The final two days of the European Phycological Congress included talks focused on the fate of marine forests in light of global climate change as well as other anthropogenic stressors, such as domestication. 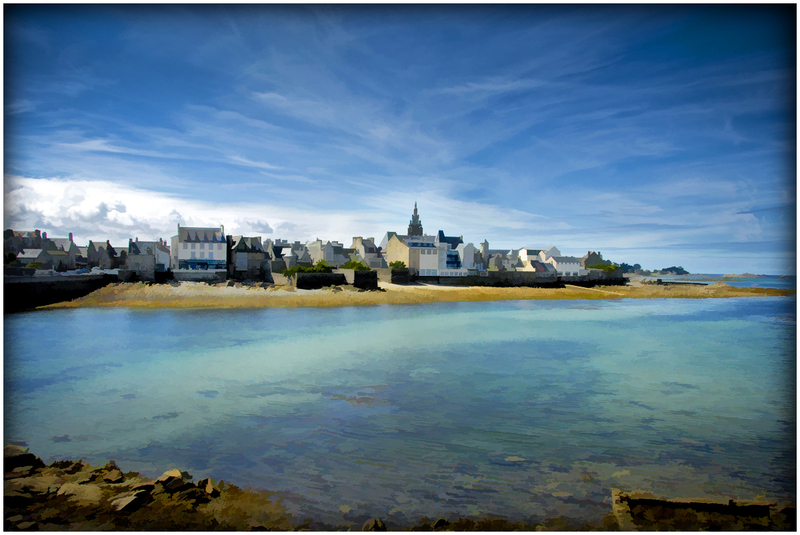 The coastline of Brittany in northwestern France has over 600 km of coastline and can be considered a cradle of phycology. 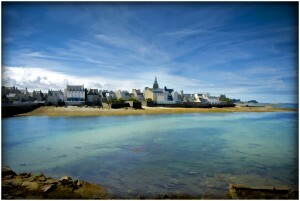 Yet, with increasing temperatures, the Breton coast is getting hotter faster than the global average. Le Gall and colleagues found different algal communities when they compared sampling trips from the end of the 20th century and from another effort in 2010-2012. The National Herbarium in Paris has over 250,000 algal specimens sampled over 2 centuries. 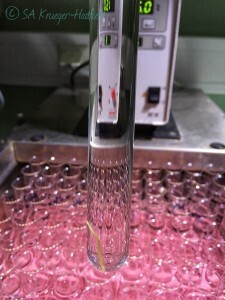 They focused on intense sampling periods between 1826 and 1978 in order to investigate how the algal flora have changed. 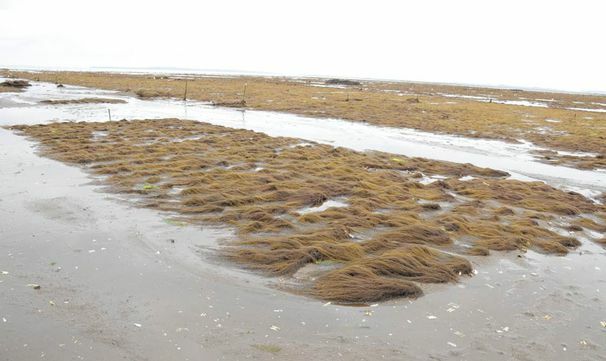 They found brown algal species in which samples were placed in the herbarium from 1910-1931, but since then, no samples have been found in the herbarium, the relevant literature or field collections made by researchers at the Museum. Important changes in algal diversity have occurred and the combined use of herbaria, literature searches and field collections have documented this. Interestingly in Brittany, there is not a linear gradient across latitudes. The changes in diversity along this coastline that is not north to south paint a subtle picture of changes in algal biodiversity. Florian filled in a talk on the invasion of Gracilaria vermiculophylla at the last minute. I’ve improvised a title as I didn’t write down the one he used during his talk! Florian Weinberger is a collaborator with Erik Sotka and I on the project for which we have been sampling around the northern hemisphere this summer. The work he presented at EPC from his lab was a major driver behind our current push to understand adaptation during biological invasions. Invasions by macroalgae are widespread, but apart from some emblematic invaders (i.e., wakame and Sargassum), the causes and/or consequences of other algal invasions are not well studied. Common gardens are often used in higher plants in order to explore the genotypic versus environmental contributions to phenotypes. 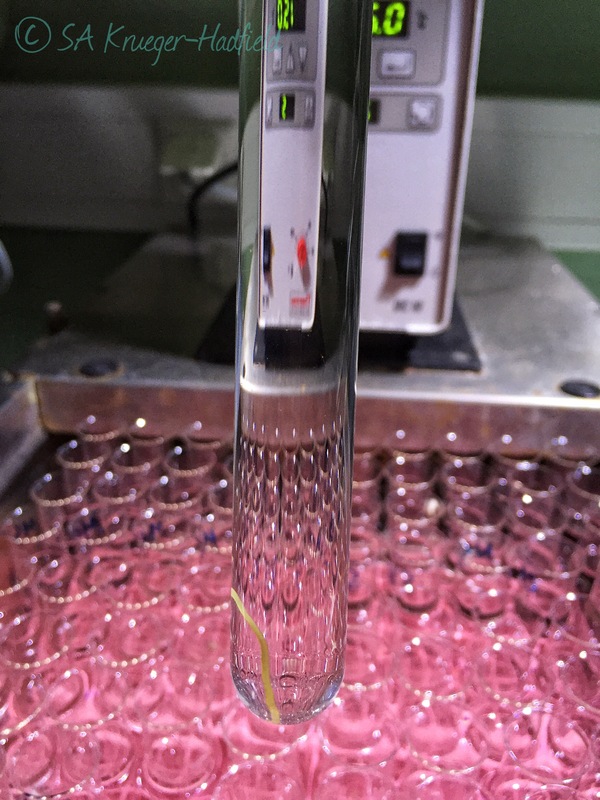 Yet, these experimental set-ups have not been utilized for macroalgae … likely due to the lack of dormant stages and the finicky nature of cultivating algae in the lab. Weinberger and colleagues found the non-native populations of G. vermiculophylla were more resistant to heat shock and herbivory than native populations. Barcoding with cox1 revealed signatures of a genetic bottleneck (Kim et al. 2010, J. Phycol. 46, 1346–1349), perhaps driven by resistance to heat and herbivores. Ester Serrão presented one of the plenaries on the final day of the conference. She highlighted the excellent projects she and her lab have conducted over the past decade on fucoids and kelps. In particular, she discussed range expansions in these brown algae. As species expand their range and/or move poleward in response to rising seawater temperatures, some genes are left behind. 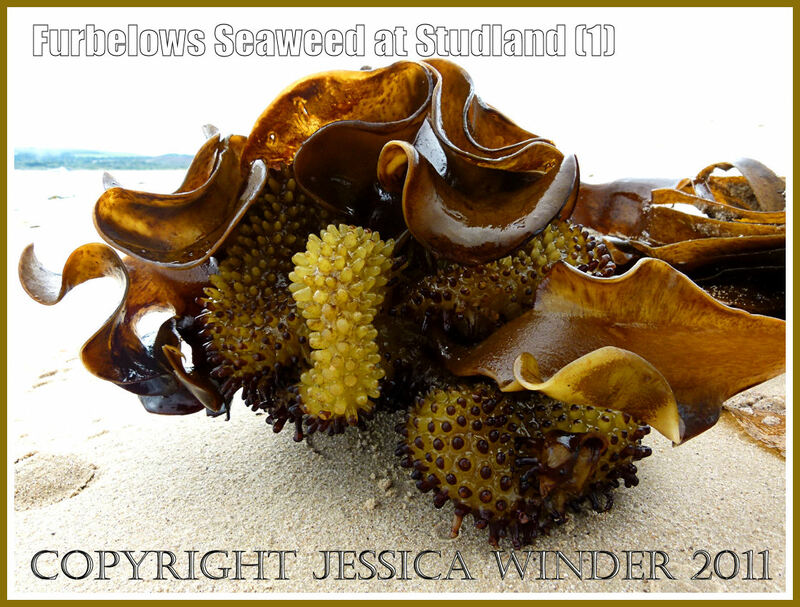 The kelp Saccorhiza polyschides has disappeared from southern Portugal, but has been found on isolated seamounts. These areas are hotspots of genetic diversity found 40-70 m below the sea surface. Likewise, a fucoid, F. guiryi, has disappeard from hot areas, but is maintained in the Iberian Peninsula in upwelling zones . She also discussed hybridization events when sister species meet along an expansion front. A former student and now a post-doc in the lab, João Neiva, presented these results of fucoid allopolyploids along the California coast. The poleward expansion of some species indicates they are not necessarily endangered. Yet, as genes get left behind, what are the functional implications of the loss of this diversity? What functional loci, physiological traits or ecological traits are lost? How are functional traits different between distinct lineages, such as those persisting on seamounts? 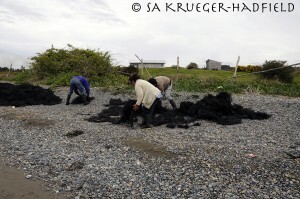 Drying algae in southern Chile. Guillemin and colleagues have been studying the genetic and demographic impacts of cultivation practices in the red alga G. chilensis in Chile. 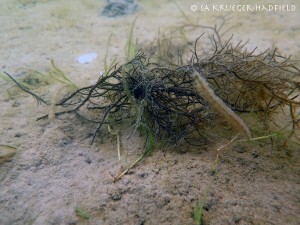 Rapid domestication of this alga was undertaken with little knowledge about its biology. In the Gracilariales, thalli can easily fragment and continue to grow indefinitely. 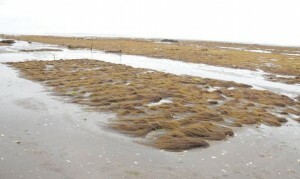 Populations drift as free-floating thalli, or, in the case of G. chilensis farmed populations, become embedded in muddy, soft-sediment habitats. We are likely more familiar with examples, such as maize, in which artificial selection has exerted striking changes. Using microsatellites, Guillemin et al. 2008 (Evolution 62: 1500-1519) demonstrated the farmed populations were 92% diploid whereas the natural, rocky shore populations were 40% diploid. Thus, the haploid-diploid life cycle becomes uncoupled in these farmed populations and few reproductive diploids are found in the farmed populations. Thus, there are severe demographic and genetic consequences in these populations maintained through extensive fragmentation. The domestication process in southern Chile has been built on a very narrow window of genetic diversity … are these farmed populations stable? Will there be future collapses similar to the crash at the end of the 20th century? 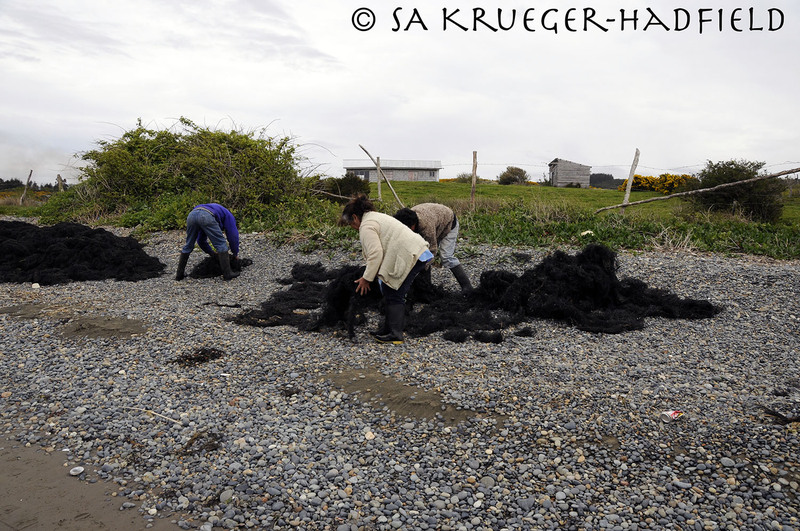 What is the impact of these farming practices on natural populations nearby on rocky shores? This entry was posted in conferences and tagged Algae, domestication, EPC, marine forests. Bookmark the permalink.